Poll: Do you admire Bono? There's Bono now, singing in Canada. 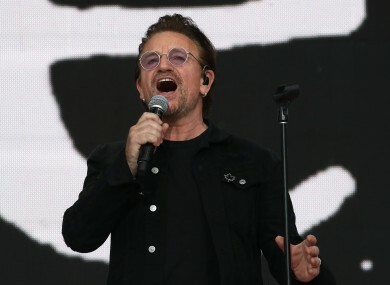 THE GUARDIAN HAS been mulling over Ireland’s attitude towards Bono and U2 – and found us wanting. On the other hand, U2′s upcoming Croke Park show is sold out. So would you please tell us, definitively, and we’re picking on the frontman because he’s the one who seems to most divide public opinion, do you admire Bono? Email “Poll: Do you admire Bono?”. Feedback on “Poll: Do you admire Bono?”.